FRESNO – Fresno’s Leading Young Professionals (FLYP), a young professional nonprofit founded in 2005 to attract and retain young professionals in the greater Fresno area who are committed to professional and civic leadership giving them a reason to stay in this region, has announced the 2013 key community members and businesses who will be honored at the 5th annual FLYP Awards Banquet. The following community members and businesses were chosen because they exemplify FLYP’s core values: Lead, Serve and Connect. FLYP is also pleased to award a scholarship to JOANIE JOY who will be pursuing a post-graduate degree at Fresno Pacific University. 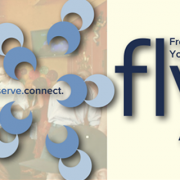 All honorees will be presented their awards at the 5 Annual FLYP Awards Banquet. The banquet will take place at The Grand on Ten, Friday, Nov. 8, 2013 at 5:30 p.m. The masquerade inspired event will feature a no-host bar social hour and a seated dinner. Local elected officials and celebrities such as Sheriff Margaret Mims and Supervisor Andreas Borgeas will be in attendance. Clayton Clark, KMPH FOX 26 Great Day feature reporter, will serve as master of ceremonies. Tickets are $45 for FLYP members, $55 for non-members. The event is open to anyone who would like to attend. To purchase tickets, contact tgamoian@flypinfo.com.